All three houses, Villa Francescana, Villa Roseto and Il Nocino is a parrt of a lager property. All houses are completly independent and with its own swimminpool, (Il Nocino has a private jacuzzi) for total 22 beds. Ideal for a large group of friends who want to spend the holidays together, each with their space and privacy. The houses are not far from Deruta, famous for its ceramics, and the ancient village of Montecastello. Centrally located in the Umbrian region, offering easy access to the major towns, such as Perugia, Assisi, Todi. Lake Trasimeno and the Fonte del Clitunno remembered, among many writers, even by the English poet Byron, are worth seeing. 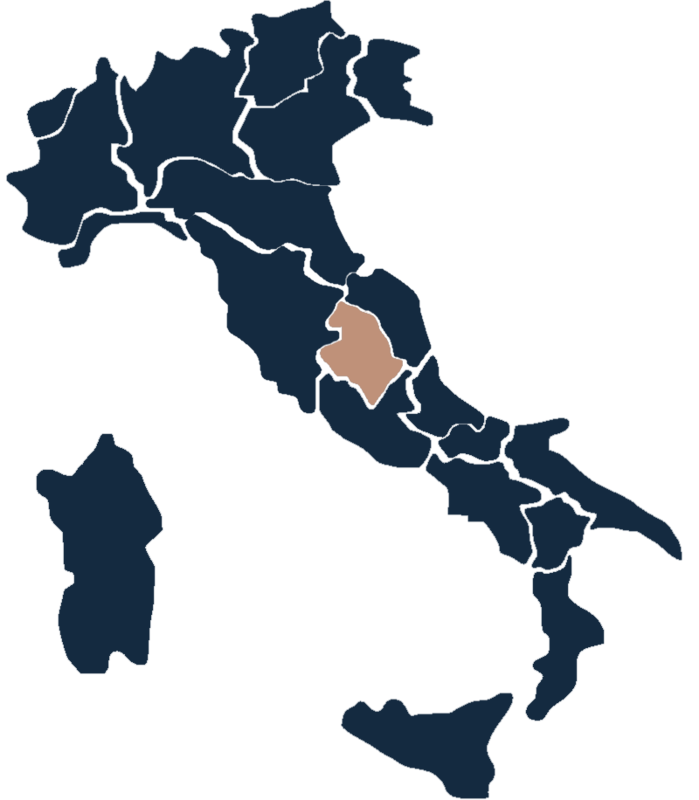 in a particularly interesting geographic position that allows to easily visit both Umbria or Rome, which is 150 km away. Beautiful farmhouse recently restored and transformed, thanks to a skilful restoration project, into an elegant and refined country residence set amid the hills rich in olive groves in the Umbrian countryside. Villa Francescana, with its two covered porches and its wood oven, takes guests back in time and it is the right place for those who want to enjoy nature and the pleasures of life. countercurrent swimming system, outdoor shower, built in barbecue, from where you can enjoy a particularly beautiful and extensive view of the valley. Guest can also have dinner on a beautiful covered terrace near the swimming pool, where they can admire the sunset on the surrounding hills. The villa has central heating, air conditioning, internet wi fi connection, baby bed. Access to the property with a remote-controlled entrance gate. Parking on the premises. Ground floor: living room (satellite TV) with fireplace and access onto a covered terrace with a large table for outdoor dining and wood-burning oven, dining room with characteristic built-in kitchen worktop counter (washing machine, dishwasher, freezer, microwave, small appliances), 1 double bedroom, characterized by a very large glass window that faces the garden, with bathroom with shower. First floor: (access from the living room or by an external staircase): 3 double bedrooms each with bathroom with shower, hallway with access onto a panoramic terrace that is covered and equipped. Attic floor: Cosy area suitable for young people (1.75 m height) with two beds. The house is surrounded by a large and beautiful garden with a lawn with flowering shrubs, a swimming pool (12x6) (15/05-30/09) and a porch equipped for outdoor dining (barbecue and pizza oven). The accommodation has central heating, Wi-Fi and air conditioning. Parking on the property. Ground floor: living/dining room with fireplace and direct access to the porch, kitchen, 2 double bedrooms with bathroom with shower, WC. First floor: (accessed from an external staircase) 2 double bedrooms with bathroom with shower. Second floor: (tower) 1 double bedroom with bathroom with shower, kitchen with double sofa bed. The house is characterized by a manicured garden and equipped with a porch for outdoor dining and a jacuzzi (3m diameter)(15/05-30-09 in the other periods on request and upon payment the water can be heated). Ground floor: living/dining room with kitchen area and access to the porch, 2 double bedrooms each with bathroom with shower. On request and upon payment guest have also at their disposal a fitness center, shared with other two houses, with exclusive use in rotation, which includes Jacuzzi, sauna, Turkish bath, massaging armchair, tapis roulant, spinning bikes, indoor rower, step, universal machines for weightlifting. Depositum Casale Nocino € 300, Villa Francescana og Villa Roseto € 600. Tilbakebetales ved avreise hvis ingenting er ødelagt.